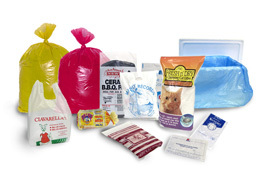 Polypac gets you there to make your plastic bags and packaging ideas a reality. We understand what you really need is the best service and products. Our creative and innovative experienced team look forward to hearing from you to find the best solution for your desired result. We believe in offering the best service, so we will provide you with the best quality, and the best competitive price, and we deliver on time. We place an emphasis on building healthy, strong, long-lasting relationships with our existing customers and welcome the many new customers that consistently join us - who get the same unbeatable service. Free product just for trying us for a limited time only so hurry! These are some of the reasons why our customers depend on us as their Australia based custom manufacturer of printed plastic bags and flexible packaging solutions. With our professional guidance we can offer you the best solution to cater to your specific needs, just ask us. We are delighted to help!